Regressive narratives linked to gender and safety, which profess that women must be kept at home as much as possible for their own security, have been soundly critiqued. Initiatives such as “Why Loiter?” have long argued that it is by occupying public spaces, not avoiding them, that we will make the city space safer for everyone. But, there is another category of people who seem even more at risk in the city, so much so that they can only experience it within confined boundaries, behind walls and fences — children. The idea that public spaces and the urban realm should accommodate the needs and comforts of children is still a long way from being acknowledged, let alone accepted. Yet, a city that is child-friendly is a city that is good for all. The cities and neighbourhoods that we are planning today are friendly to cars and motorbikes, which are naturally dangerous for children. Cars speed down roads with a sense of entitlement. They would never stop for a kid trying to cross the road, and have the power to run over whoever dares them. When they are stuck in a jam they kill us slowly by emitting their toxic fumes, which are known to be particularly damaging to young, growing brains. When they stand still, they occupy precious space that could be used to play. This profound injustice would be easier to bear if sidewalks were navigable. But even in the most expensive neighbourhoods, sidewalks are either non-existent or so badly maintained that it is easier to walk on the road. Upper and middle-class children experience the city only from the window of an air-conditioned car. They usually live in gated communities where they are free to play in confined spaces or in between parked cars. Playtime outside the compound is typically in a shopping mall. 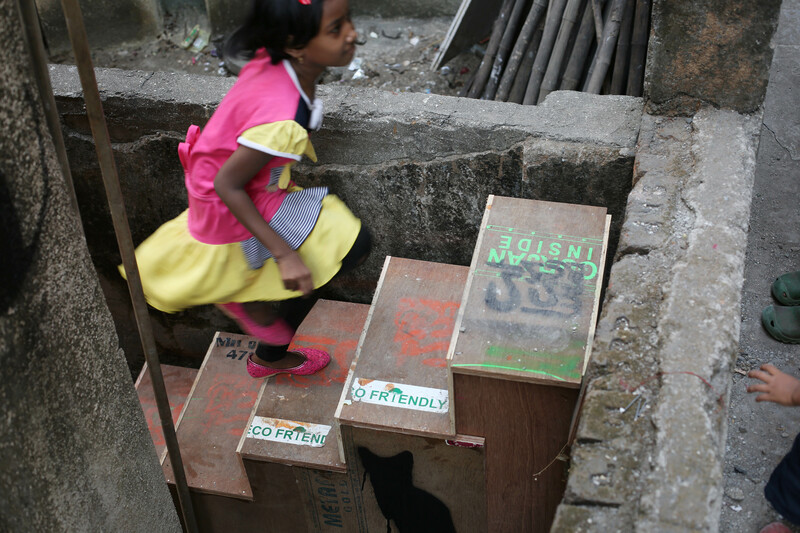 Poor children who live in very dense environments can sometimes play outside their houses only because streets are too narrow for cars, but they may face other threats like open drains. Cities like Mumbai and Chennai do have public beaches and waterfronts, but these are usually packed, to the point that many parents would rather avoid them. What would help is to make sure that the rest of the city is just as welcoming to children. Not just spaces especially designed for them, like parks and playgrounds, but also the streets. They should feel safe cycling on the sidewalk anywhere. Reclaiming informal parking spaces along the road would permit generous sidewalks to be built. Playing cricket or football on a quiet street on Sunday and holidays should be encouraged. Cars and bikes should fear children, and not the other way around! Where does one start? Perhaps by asking children themselves what changes they would like to see around their houses and schools. We have seen, time and again, that they are enthusiastic problem solvers. Schools could take a leading role in advocating for children-friendly cities. Urban planning and design could become a practical component of their civics and outreach lessons. Children, especially as students, know to negotiate space in the keenest way possible. If they were trusted more, they could initiate a series of programmes and projects in localities, which would ultimately benefit the neighbourhood at large. School compounds and their neighbourhoods would be excellent starting points. Perhaps they don’t have to be fenced and privatised if those they are designed to protect start designing a friendlier context for themselves and the larger public. With such initiatives, we may start seeing not only better cities but also better citizenship. When a child understands the public realm and the diversity that it must necessarily accommodate, along with power-structures that any planning arrangement (or lack thereof) implies, she may improve her ability to deal with the politics of difference in the adult world as well. Perhaps, taking charge of that world from a younger age will teach us more than urban design and politics would. It may help us deal with difference in a concrete manner. This article was published in The Hindu Sunday Magazine on 16th December 2017.